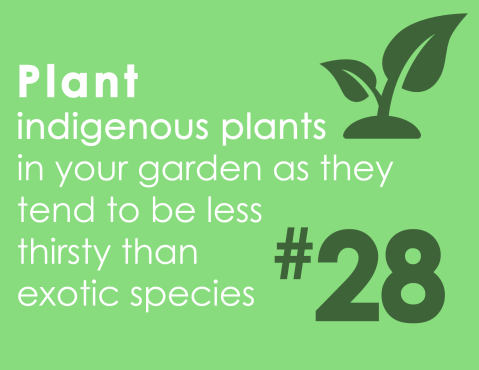 You can also use it to water plants, but don’t drink it: it tastes horrible! You can also connect your shower and bath to a rainwater tank and use the water to water the garden. Set fun water saving challenges for your family and monitor how much water you’re able to save each month. Planting varieties of grass that require less watering is also helpful. Ask an expert to help you choose the best type. 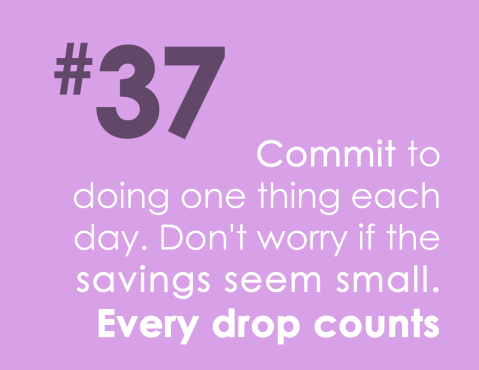 If you do one small thing each day, by the end of the year it’ll have a made a huge difference! Your company, organisation, school or office building can make a huge difference. 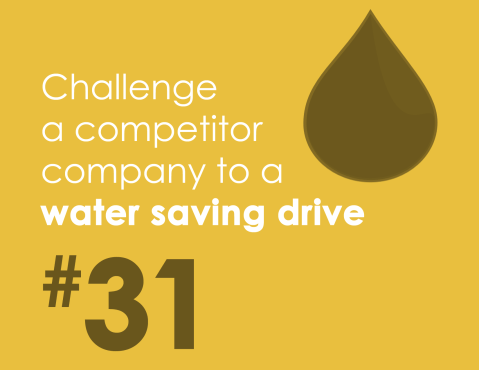 Learn how to save water in schools or the workplace and encourage your employees, peers or colleagues to help you save water as well. Make sure your business, school or block is operating responsibly by using these tips and tricks. Insulating your pipes also minimises the length of time it takes for warm water to reach the tap. 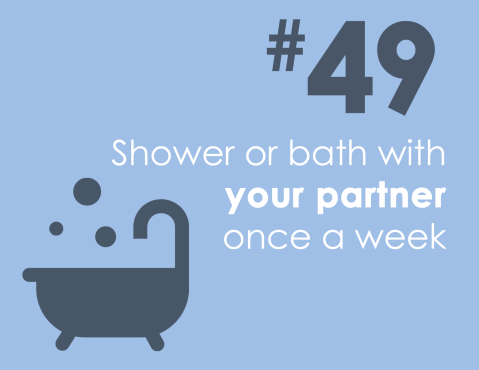 Did you know that showering accounts for nearly 17% of household water use? 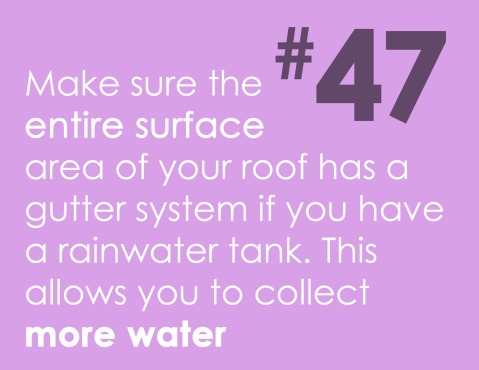 Don’t lose valuable rainwater down the gutter! Installing a rainwater tank to supplement your water supply will save you money and save water. The larger the surface area connected to your gutters, the more water you can collect. Water your garden at night when the air is cooler to ensure minimal evaporation. Saving water in the bathroom is easy when you know how. These tips and tricks will help you prevent water wastage when doing activities such as bathing, showering, using the loo and cleaning your teeth. In addition, water from the shower, bathtub and basin is perfect for reusing! 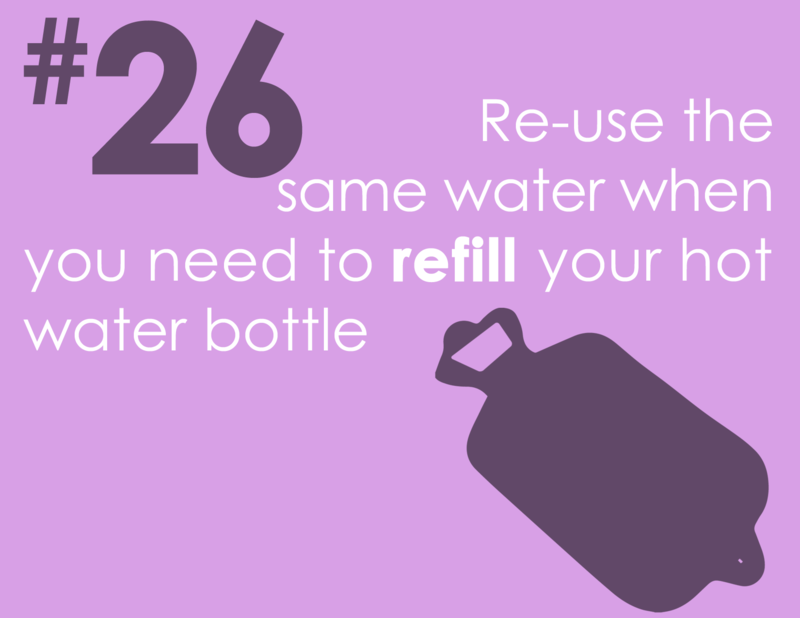 Re-use the same water when you need to refill your hot water bottle. Fill your drinking glass carefully, only turning on the tap when the glass is there to catch every drop, instead of turning it on and then moving your glass underneath the stream. Plant indigenous plants in your garden as they tend to be less thirsty than exotic species. 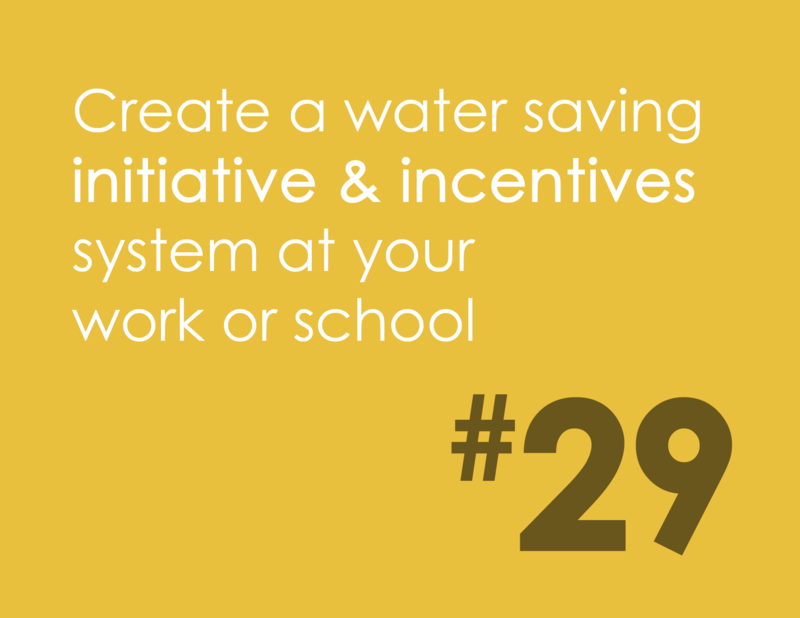 Create a water saving initiative and incentives system at your work or school. 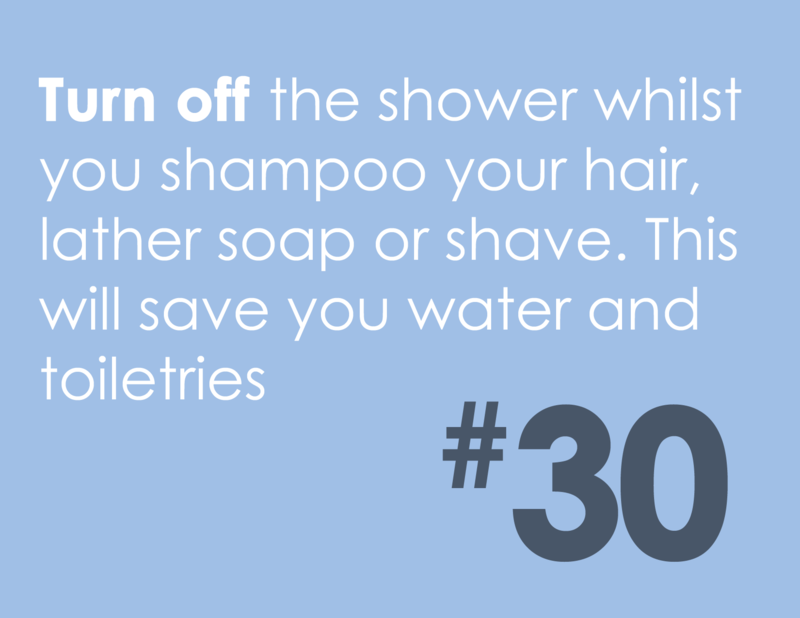 Turn off the shower whilst you shampoo your hair, lather soap or shave. 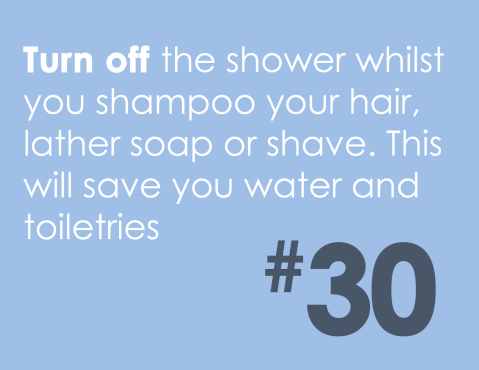 This will save you water and toiletries. Challenge a competitor company to a water saving drive. Slow toilet leaks can be hard to notice. 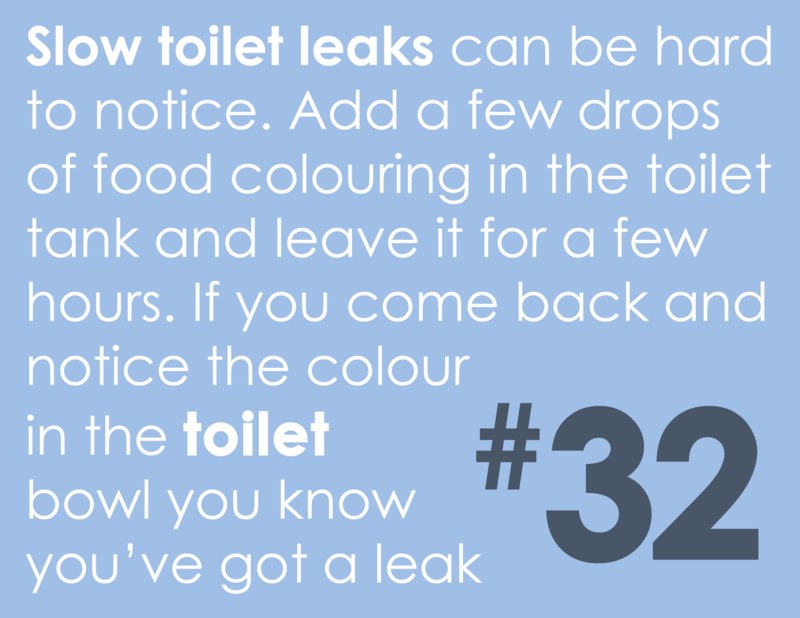 Add a few drops of food colouring in the toilet tank and leave it for a few hours. 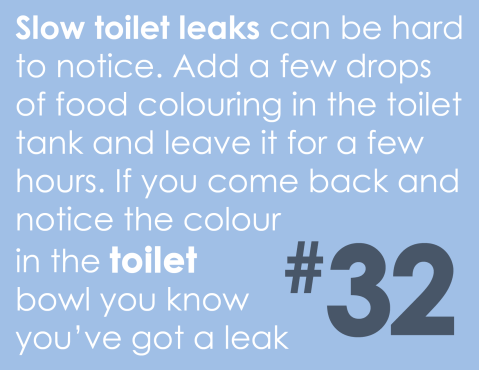 If you come back and notice the colour in the toilet bowl you know you’ve got a leak. 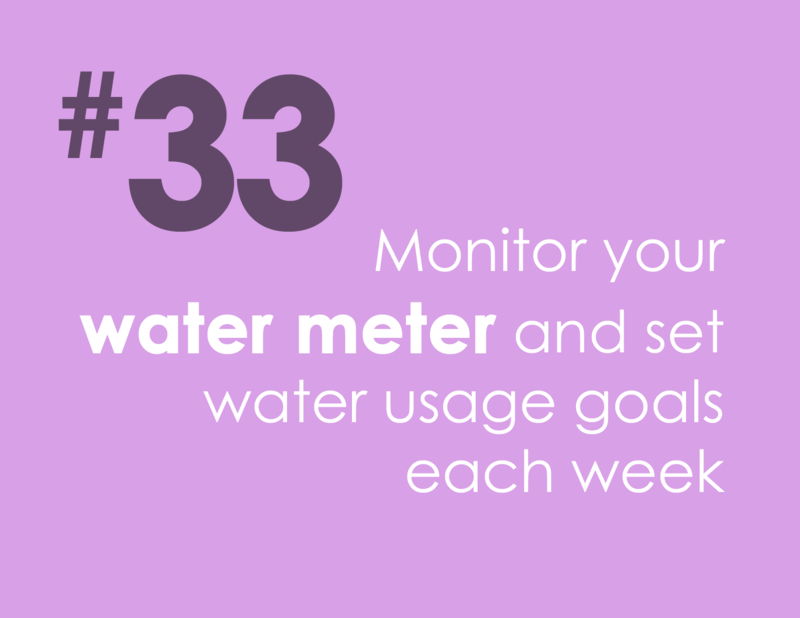 Monitor your water meter and set water usage goals each week. 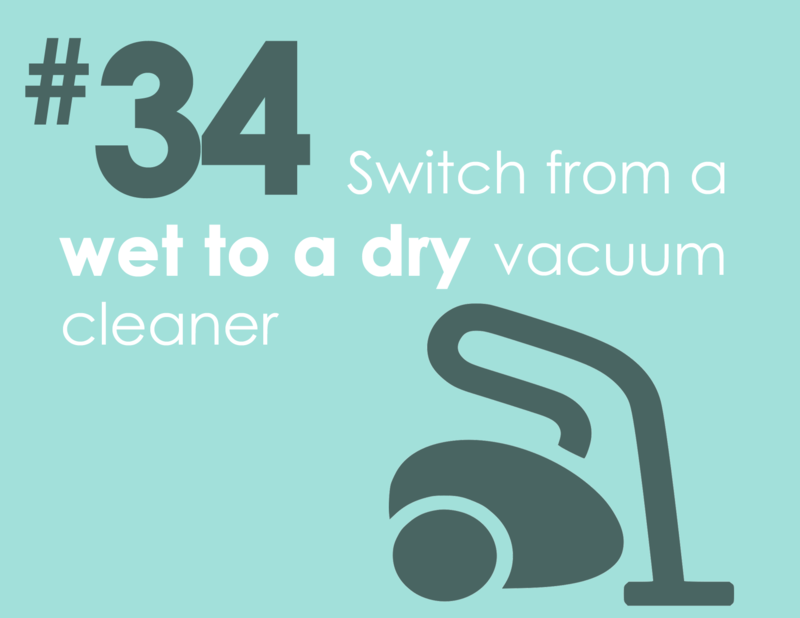 Switch from a wet to a dry vacuum cleaner. 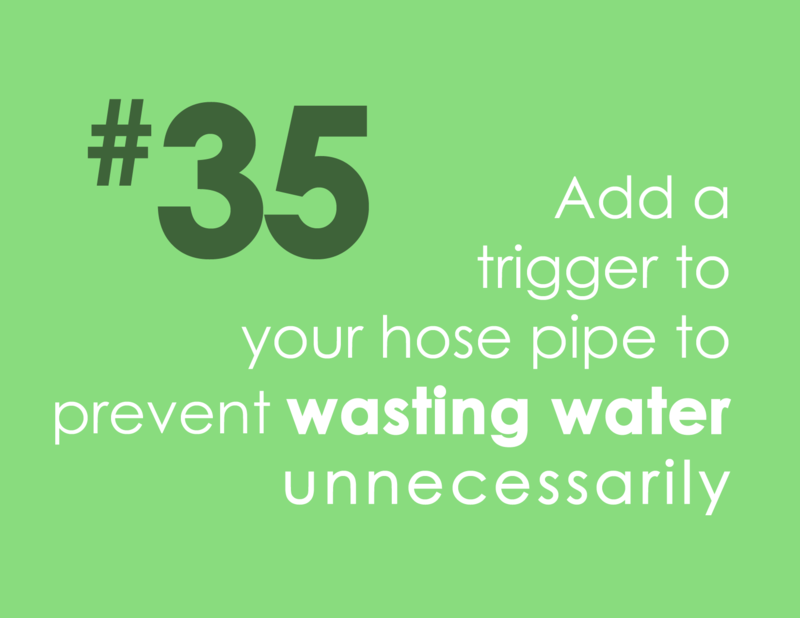 Add a trigger to your hose pipe to prevent wasting water unnecessarily. 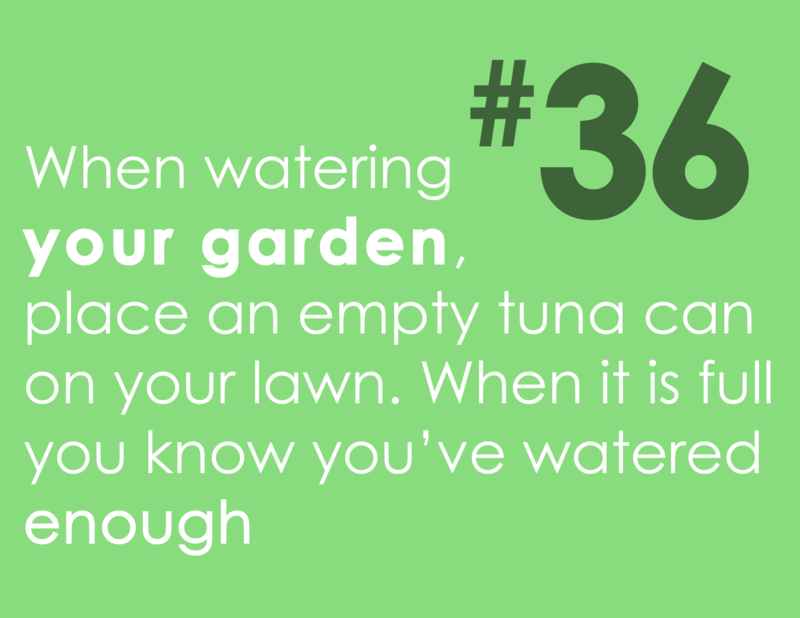 When watering your garden, place an empty tuna can on your lawn. When it is full you know you’ve watered enough. Commit to doing one thing each day. Don't worry if the savings seem small. 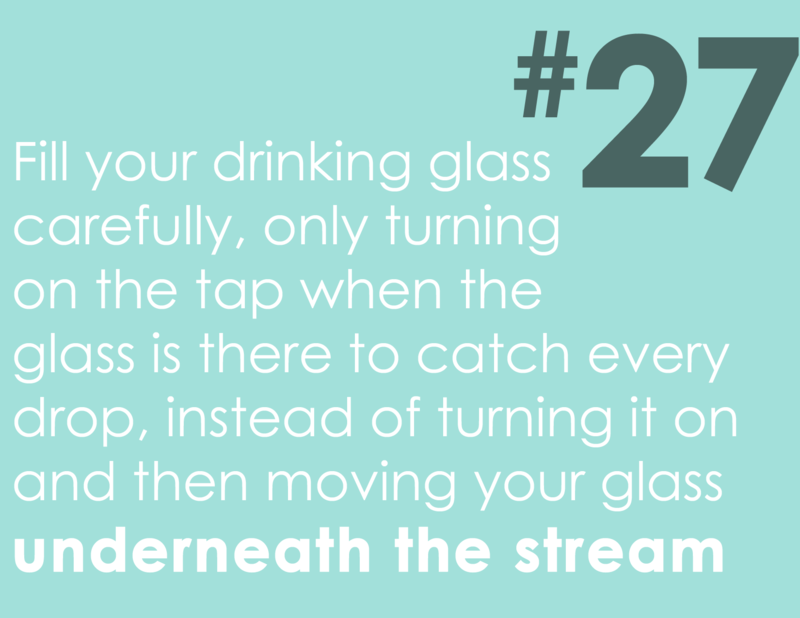 Every drop counts. 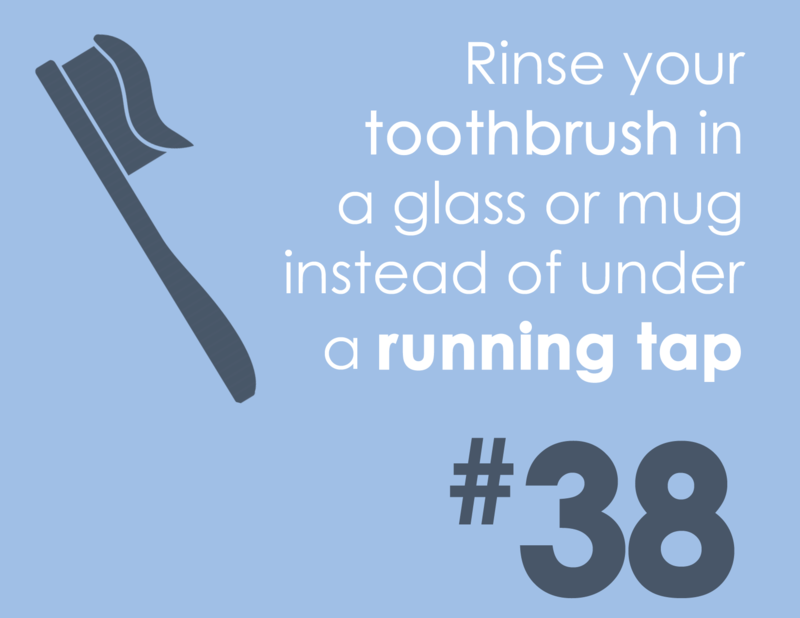 Rinse your toothbrush in a glass or mug instead of under a running tap. 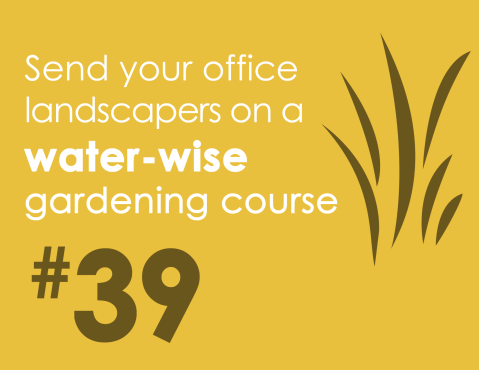 Send your office landscapers on a water-wise gardening course. 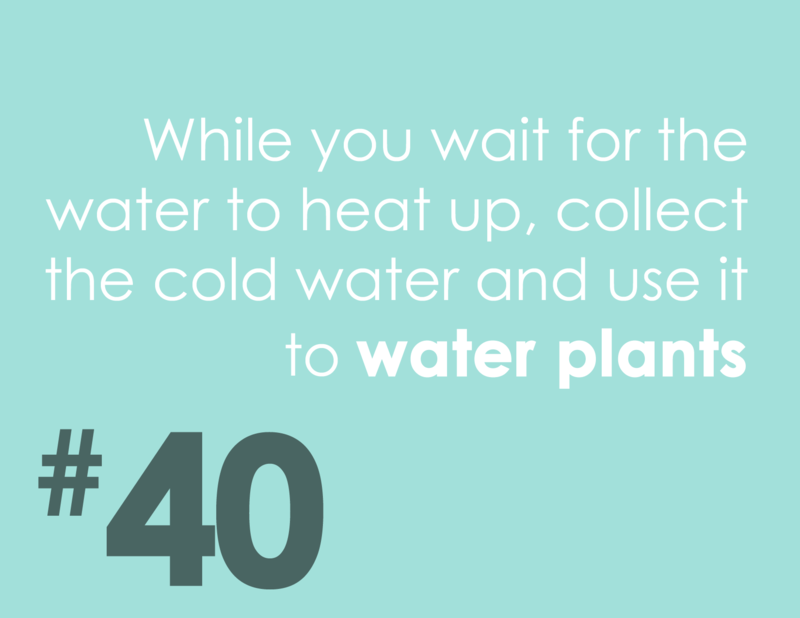 While you wait for the water to heat up, collect the cold water and use it to water plants. 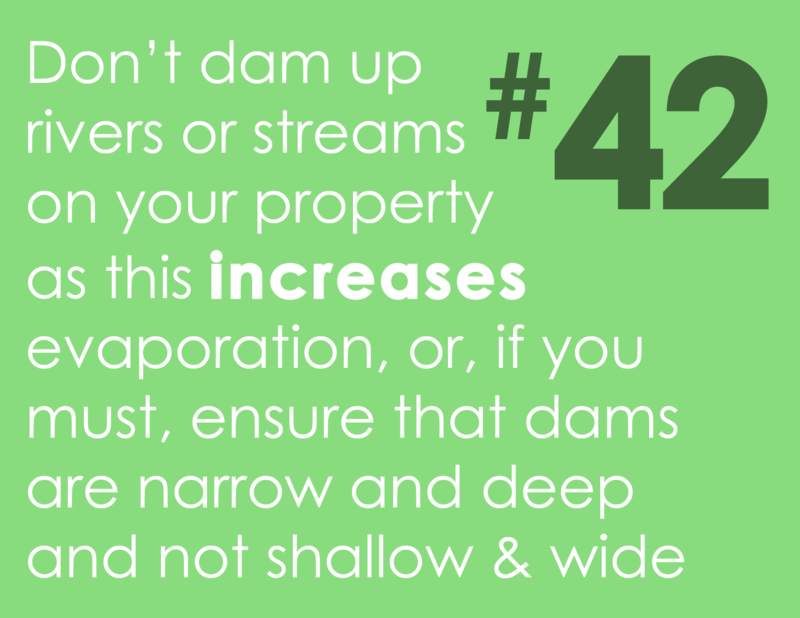 Don’t dam up rivers or streams on your property as this increases evaporation, or, if you must, ensure that dams are narrow and deep and not shallow and wide. Replace your current showerhead with a water-efficient model. 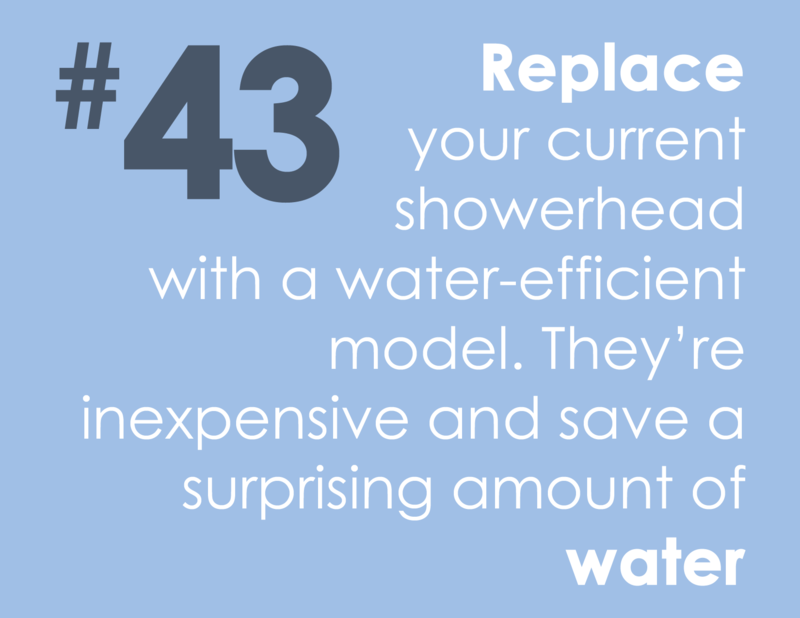 They’re inexpensive and save a surprising amount of water. Adjust your lawn mower to the highest setting. 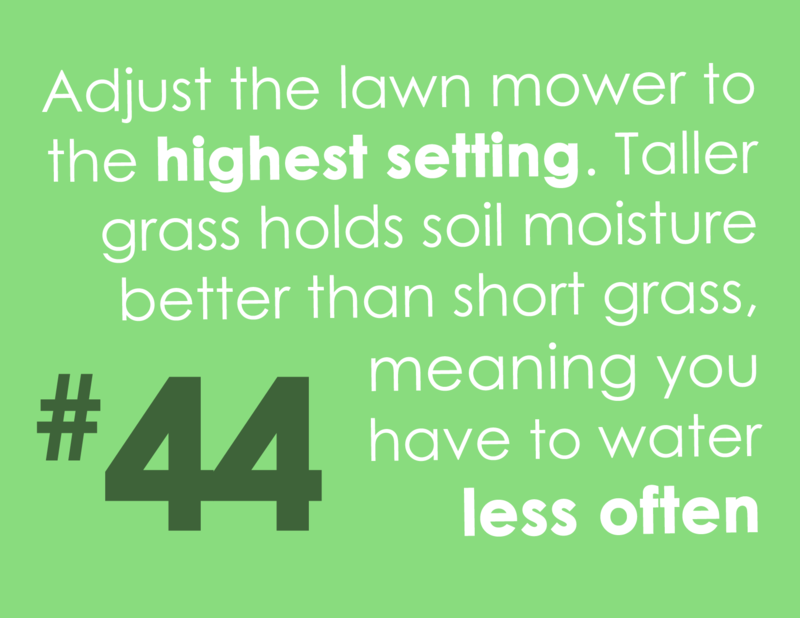 Taller grass holds soil moisture better than short grass, meaning you have to water less often. Report broken pipes or leaks to the local municipality. 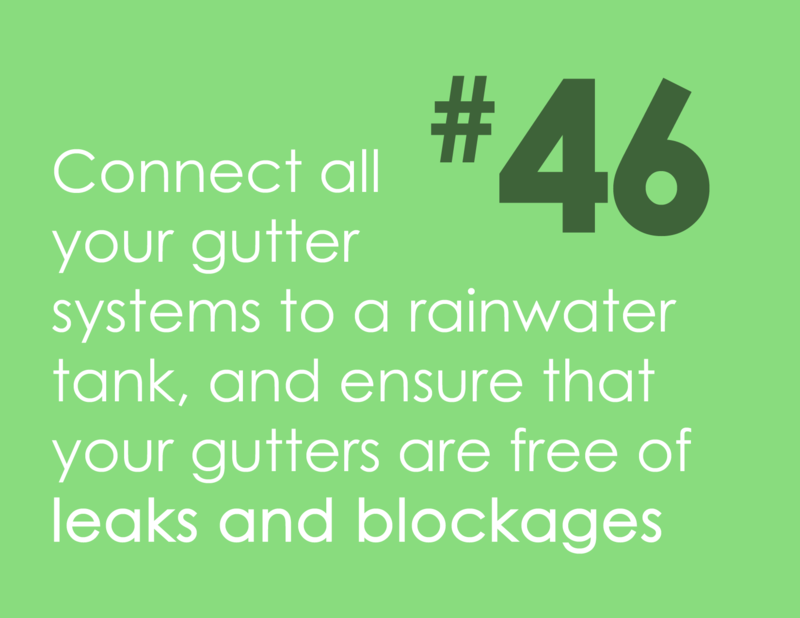 Connect all your gutter systems to a rainwater tank, and ensure that your gutters are free of leaks and blockages. Make sure the entire surface area of your roof has a gutter system if you have a rainwater tank. This allows you to collect more water. 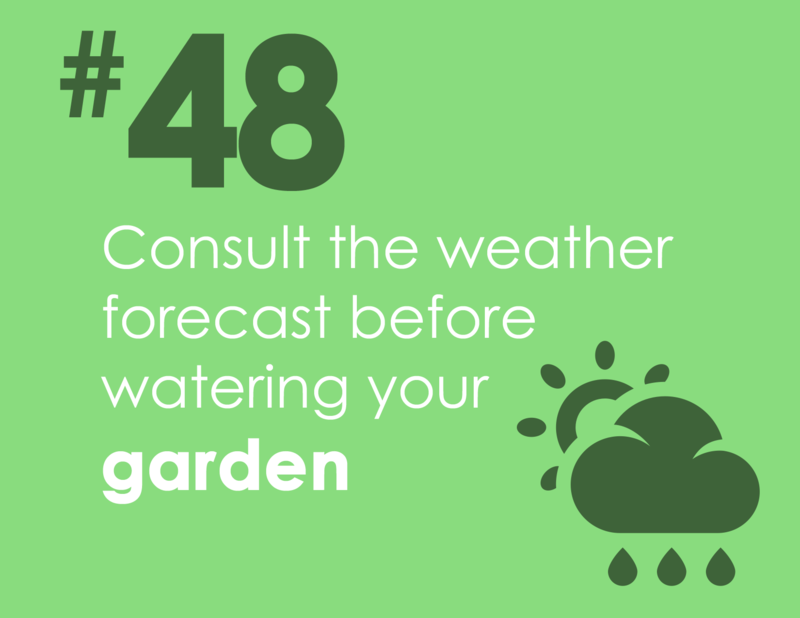 Consult the weather forecast before watering your garden. Shower or bath with your partner once a week. Use a smaller pot when cooking. 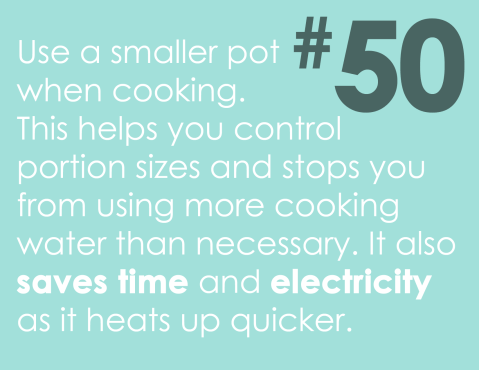 This helps you control portion sizes and stops you from using more cooking water than necessary. 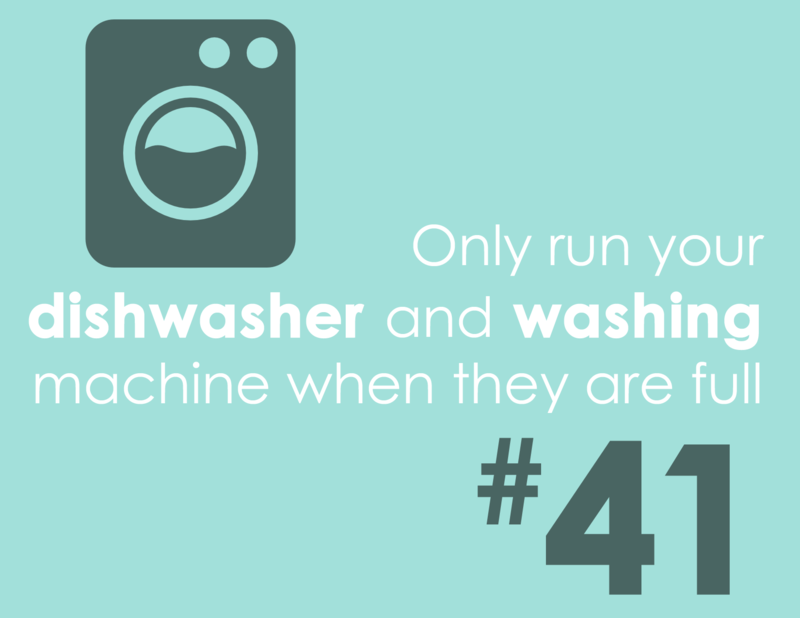 It also saves time and electricity as it heats up quicker.